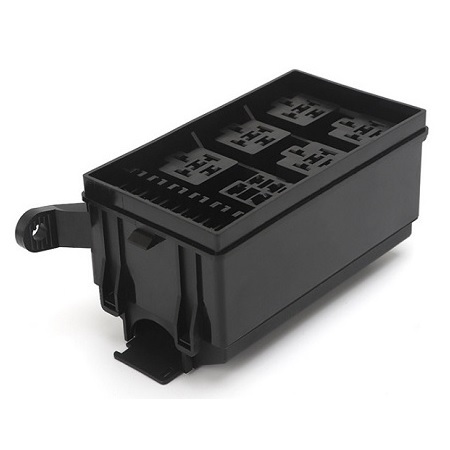 We offer regular Automotive Relay Box that are available in various sizes and can be washed with ease. We manufacture these products using supreme and finest quality materials based on latest technology in comply with the quality standards and norms. These products clients can avail from us at affordable prices. The relay box applies to the fuse box in engine room for Nissan March car, in order to prevent the burning due to overloading situations generated when the vehicle functional become to failure from the circuit system, you could check this reply in the first when failure.